HIAWASSEE, Ga. – The Hiawassee polling precinct was within minutes of closing on Nov. 6, when Sunni Wolfe rushed in to cast a ballot on election night. Wolfe, who spoke on-record with FYN upon exiting the polls, was provided a provisional ballot by election officials due to the fact that Wolfe could not produce photo identification, a requirement in Georgia elections. Wolfe explained to FYN that he had relocated to Towns County from the metro Atlanta area five months prior, and is currently homeless, residing in an area campground. 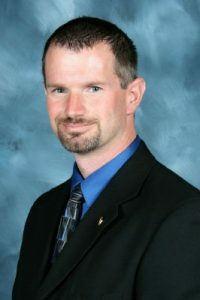 When asked what motivated Wolfe to turn out at the Towns County polls in the nick of time, Wolfe stated that he took an “opportunity” to vote because he had hoped to make his voice heard. 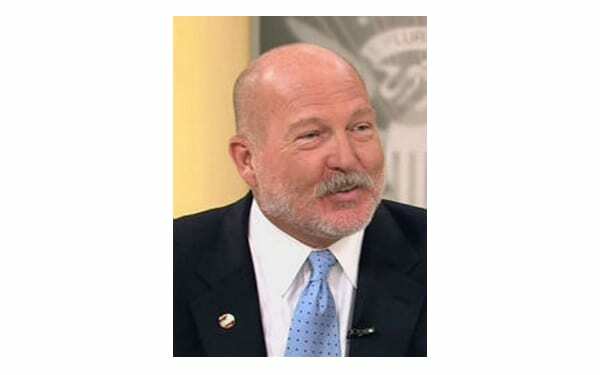 That opportunity resulted in not only a futile vote, due to Wolfe being registered out-of-precinct in Fulton County, but in Wolfe’s arrest shortly after leaving the local polls. Sunni Wolfe was charged with Driving while License Suspended/Revoked after the vehicle he had driven to the voting precinct was reported missing by Wolfe’s girlfriend, an employee working a shift at a Hiawassee restaurant. According to the arrest report obtained by FYN, Hiawassee Police Department responded to the complaint at 8:10 pm, with law enforcement officers still on scene as Wolfe returned the vehicle to the location in which had been reported missing. Upon explaining to officers that he had “taken the car to go vote” and providing a provisional voter receipt to law enforcement, Wolfe purportedly admitted to officers that his license was suspended, was subsequently placed under arrest, and transported to the Towns County Detention Center. 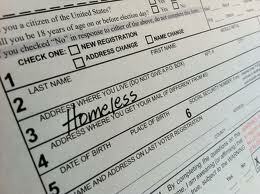 FYN contacted Hiawassee Police Department and learned that Wolfe, too, had conveyed to officers that he was homeless. During the 2018 midterm election, a total of 21,190 provisional ballots were cast in Georgia. That number is up from 12,151 provisionals cast in the 2014 midterm. Democratic gubernatorial candidate Stacey Abrams filed a federal lawsuit on Sunday, asking that election authorities count certain ballots which would otherwise be rejected for “arbitrary reasons.” Of the nine provisional ballots cast in Towns County, all nine were disqualified due to out-of-precinct voting. In response to a lawsuit filed by Common Cause Georgia on Nov. 5, U.S. District Judge Amy Totenberg ruled that Georgia cannot certify the election results before Friday at 5 p.m. which falls four days before the Nov. 20 deadline set forth by state law. 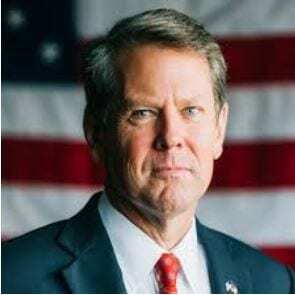 Current returns show Republican Brian Kemp leading with a margin that would make him Georgia’s governor-elect. Democratic candidate Stacey Abrams, however, insists that enough outstanding votes remain to be counted, which she claims could push Kemp below the majority threshold, forcing a Dec. 4 runoff. 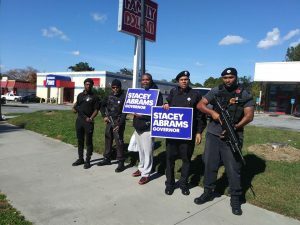 HIAWASSEE, Ga. – Towns County Sheriff Chris Clinton took a solid stand on social media in the days leading into the general midterm election, warning Georgia voters of what he believes will result in dire repercussions should Democratic gubernatorial candidate Stacey Abrams prove to be the victor on Tuesday, Nov. 6. Clinton – a self-professed Constitutional Conservative serving his third term as Towns County’s lead lawman – insists that the caravan of migrants swelling toward the southern U.S. border is nothing short of an orchestrated invasion. 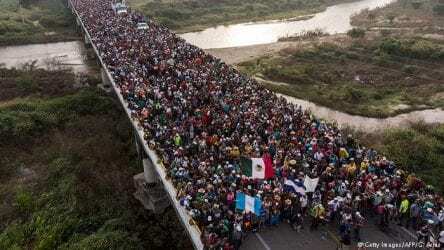 The sheriff stressed that the motive behind the migrant caravan is to add future backup supporters for the Democratic candidate’s socialist cause, claiming that violent MS-13 gang criminals are embedded within the mass of the estimated 12,000 foreigners. “MS-13 is an extremely violent and brutal gang with no more respect for your front door or your family than they have for any nation’s borders or civil authorities,” Clinton warned. Clinton concluded with an expressive plea for Georgians to cast their vote for Republican candidate Brian Kemp in order to “stop this radical, extremist, socialist, anti-American, anti-Georgian, anti-farmer, anti-law enforcement, anti-unborn child, anti-liberty” agenda. Sheriff Clinton is scheduled to address the Town County Republican Party on Thursday, Nov. 15, speaking on the encroaching caravan, gangs, guns, and the opioid epidemic. 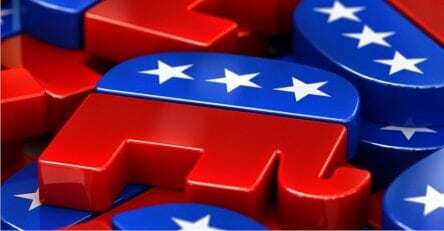 Towns County GOP meets on the third Thursday of each month at 6 p.m. at the Towns County Civic Center in Hiawassee. Meetings are open to the public. HIAWASSEE, Ga. – While early voter turnout was especially strong in North Georgia throughout the first week of the 2018 General Election, state and local Republican leaders echoed the importance of encouraging friends and family to cast ballots during a Towns County “Get Out The Vote” rally Thursday, Oct. 18 . A sizeable crowd of constituents attended the town hall meeting, orchestrated by Towns County GOP Chairwoman Betsy Young, and Republican member Donna Barrow. Towns County High School Commissioner Seth Fullerton introduced Colonel Dale Sissell, an author and two-time Purple Heart recipient, to lead in the Pledge of Allegiance. Towns County High School student and vocalist Summer Rahn sang “God Bless America,” followed by the National Anthem. Towns County Sole Commissioner Cliff Bradshaw served as Master of Ceremonies, opening the meeting by reciting words attributed to former President Ronald Reagan. “These values represent the Georgia and America that I love and believe in,” the sheriff expressed, “This is the state and nation in which I grew up and want to raise my children in. Our home and heritage are currently under siege by the left. 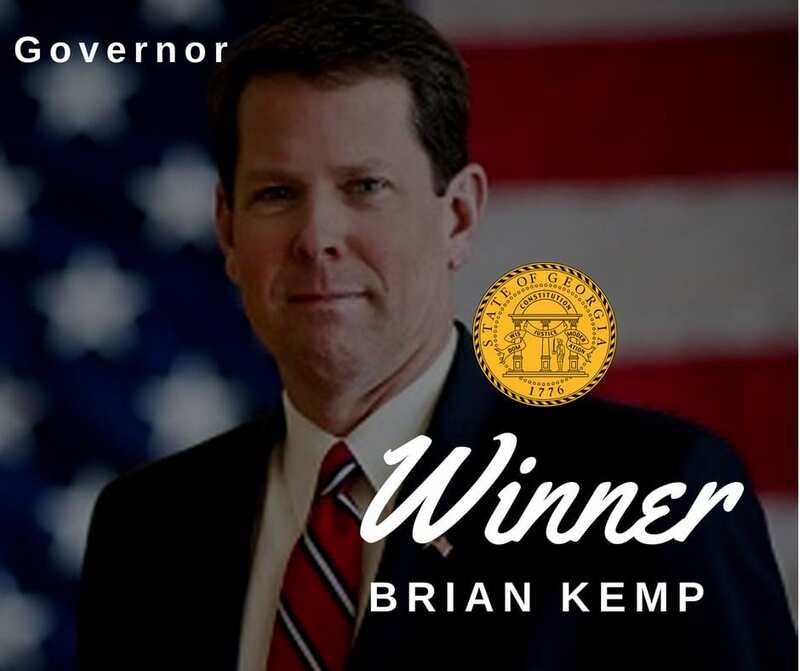 My friend Brian Kemp shares our belief in the greatness of Georgia and America. His opponent, a socialist, wants to erase the Georgia we know and love. 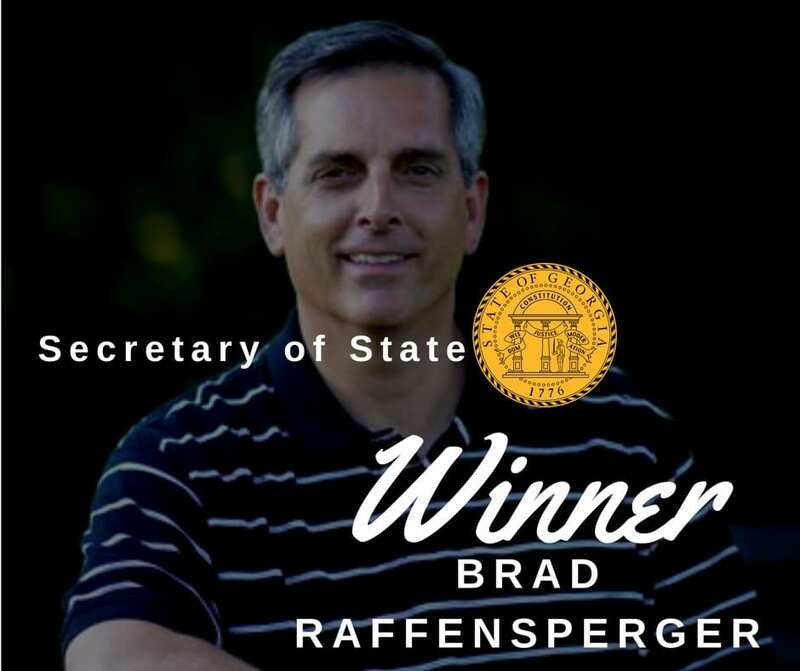 Whereas Brian Kemp has been a friend to Georgia law enforcement, a friend to Towns County and a friend to all Georgians, his opponent is currently suing Georgia in an apparent attempt to find some liberal judge who will allow illegals and non-Georgia citizens to vote in our elections. Clinton encouraged voters to elect a team that will support a Brian Kemp administration. 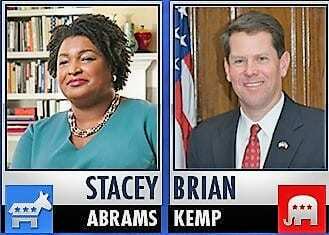 Democratic candidate Stacey Abrams is facing Republican candidate Brian Kemp for the Governor’s seat in the General Election on Tuesday, Nov. 6. Tauted as a “progressive champion” by supporters, Abrams is on a mission to win, battling conservative Kemp each step of the way. Young may harbor a valid point if the lack of voting trend continues. The May Primary Election beckoned a mere 21.6 percent of Towns County’s registered voters to the polls. While the county is composed of roughly 80 percent Republican voters – and if Towns is an indicator of statewide placidity – widespread Republican disregard could potentially swing the election in Abrams’ favor, turning Georgia from red to blue in November. Towns County GOP meets at 6 p.m. on the third Thursday of each month at the Towns County Civic Center in Hiawassee.